In 1908, Richard Wrightwas born Richard Nathaniel Wright in Mississippi to sharecropping parents. His family faced many obstacles during his young years and had to move often. This means that he also had to change schools frequently. He was forced to end his formal education upon the completion of the ninth grade in order to find work, but graduated as the class valedictorian. Wright's early experiences with discrimination at a public library helped to fuel his desire to become a writer later in life. Wright faced and overcame much diversity to realize his aspirations. Objective: Students will make and compare predictions, and identify main idea and supporting details while exploring the themes of determination, courage and discrimination. Pass around a photograph of Richard Wright as an adult. Let your students know that he became a well-known writer during a time in our history when African Americans were not given the same rights as others. Write the following words on the board: determination, courage and discrimination. Encourage the students to share what they already know about these words. Next, show the class the front cover of Richard Wright and the Library Card and let them know that they will be previewing and reading the book in small groups. Divide the students into groups of four, being sure to place each student with students who read at a similar level. Hand each group a copy of the book along with a previewing graphic organizer for each student in the group. Allow a few minutes for each group to look over the book's title, front cover and inside illustrations to discuss their ideas about the possible themes. Give a few additional minutes for each individual student to record their predictions on the graphic organizer. Before the students begin to read as a group, ask the students to share their thoughts about books and what makes them so important to daily life. This should be a brief whole group discussion and can also include talk about the library experiences that the students have had in their own lives. Have students gather close together and take turns reading from Richard Wright and the Library Card. Allow students to rearrange their chairs if needed, or even find spots on the floor to read. The latter works best if there is carpeting in your classroom. When each group is finished with the book, they should begin to collectively fill out an oversized Main Idea and Supporting Details Graphic Organizer using markers and chart paper. Encourage one student from each group to share the predictions that they made prior to reading Richard Wright and the Library Card. Discuss whether or not they were right with what they expected to take place in the story. Then allow each group to come forward, one at a time, and present their Main Idea and Supporting Details Chart. Ask the students to state any new ideas concerning the vocabulary words: determination, courage and discrimination. 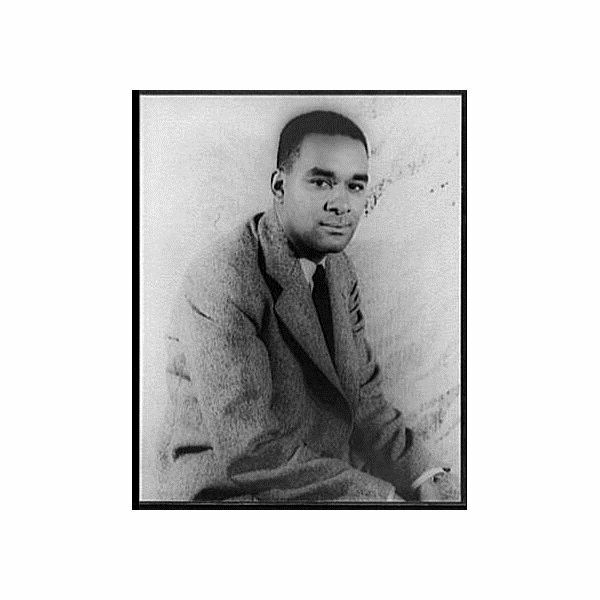 Have students write a paragraph expressing how Richard Wright's early experiences with discrimination may have influenced him to become a writer as an adult. Photo of Richard Wright courtesy of Wiki Commons.